The recently restored entrance looks great. I snapped this shot on the way in. 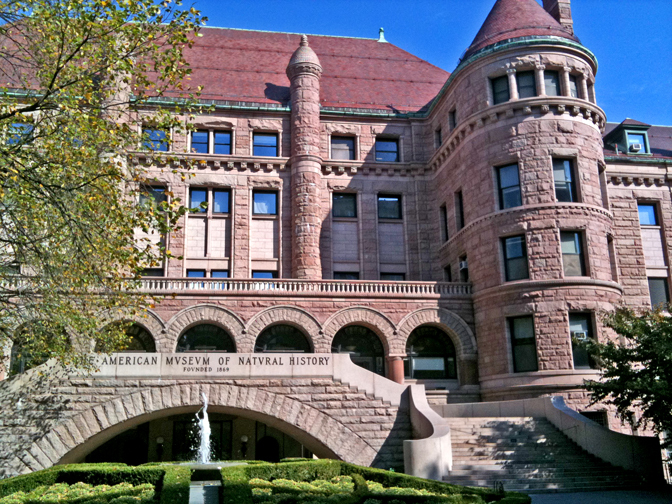 I met with AMNH staff in August and was invited to return to address the New York Entomological Society. The lecture was well attended and I really enjoyed connecting with so many people interested in bee ecology. That morning I met with Liz Johnson (manager of the Metropolitan Biodiversity Program, American Museum of Natural History’s Center for Biodiversity and Conservation). We discussed ways to include native bees in the HAVEN project and how to develop a fully interactive web based educational interface for the public and educators. 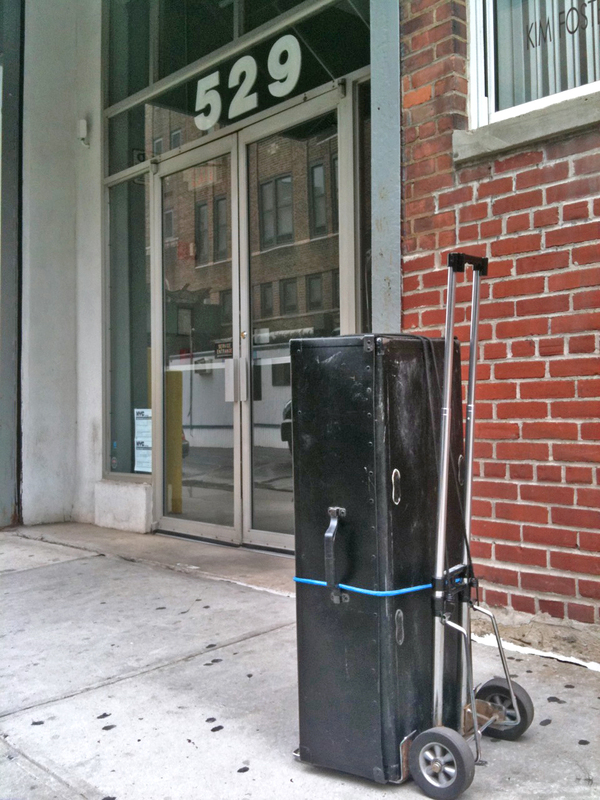 Over the following days I used this little cart to lug one of my hives all around the city. The fact that it can flat pack and assemble quickly came in handy. I had several very encouraging meetings with parks department officials and horticulturalists. I took this shot on my way in to meet with Professor Tom Seeley. 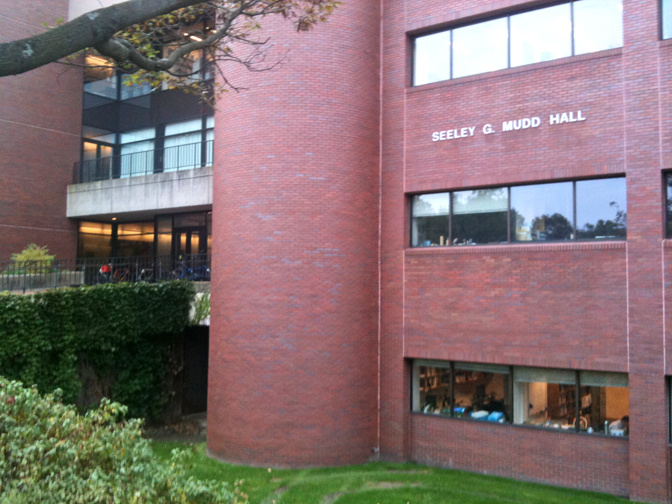 The highlight of my trip was my meeting with the world renowned Tomas Seeley at Cornell University in Ithaca. I have followed his bee research and incorporated many of his findings into HAVEN’s design. I was both excited and nervous to show him what I had built. We discussed HAVEN’s mission at length and ways the data collected could be used by bee researchers. His enthusiasm for the project was very validating and that alone would have been reason enough to fly to NY. I am honored that he has agreed to join HAVEN’s advisory board.